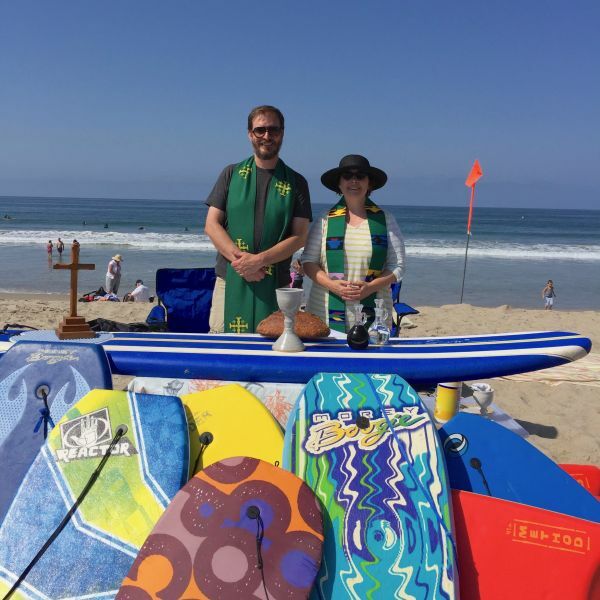 Join us for 10:30am Eucharist at the beach, with a special blessing for surfboards and boogie boards! Gather just south of Lifeguard Tower 26, at the end of Ocean Park Boulevard in Santa Monica. Long and short term parking is available on Barnard Way just South of Ocean Park. Walk out the wooden walkway and look for our tent. Bring beach chairs or blankets for seating. Make a day of it - pack a picnic, bring beach gear and celebrate our community. Note: 8am service will be held in the Chapel at St. A's as usual if you would prefer to worship there.